As any homeowner would agree, a true home is one-of-a-kind. But how exactly can you differentiate your home from the white-walled apartment next door that has the exact same layout? The easiest and most effective way to express your personality within you home is to use color! Although many people find it frightening to start rolling the walls with bright hues, here are some ideas to help you create a truly bespoke home using color. Have a color you always gravitate towards? Say your favorite lipstick or your favorite jacket? Try incorporating that color into your home. 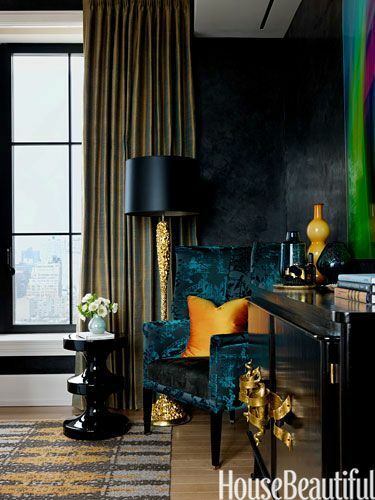 Use layers of different hues of the same color to bring depth and richness. 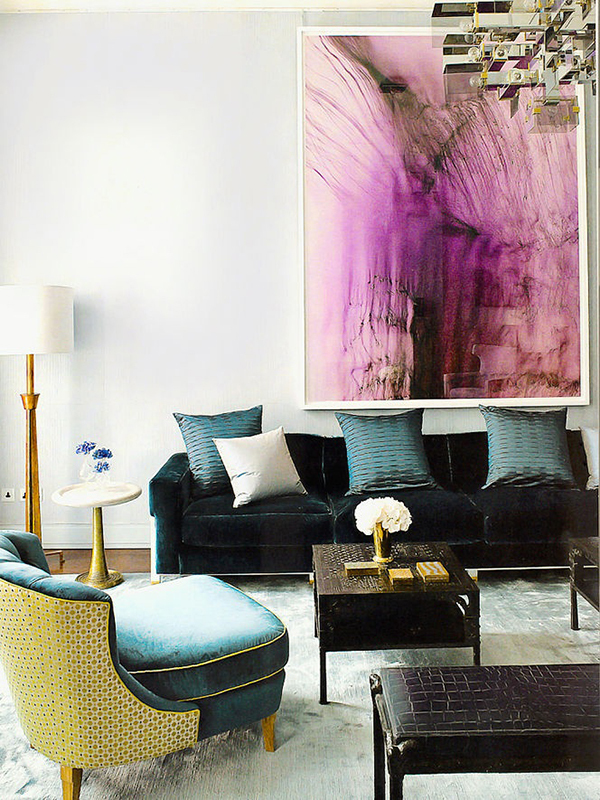 Many of today’s top-notch interiors incorporate themes from the runways and the streets. So, need some inspiration? Flip through a fashion magazine! If you are feeling a little bit shy about going “all in” with your favorite color, try a neutral palette with a pop of one color. 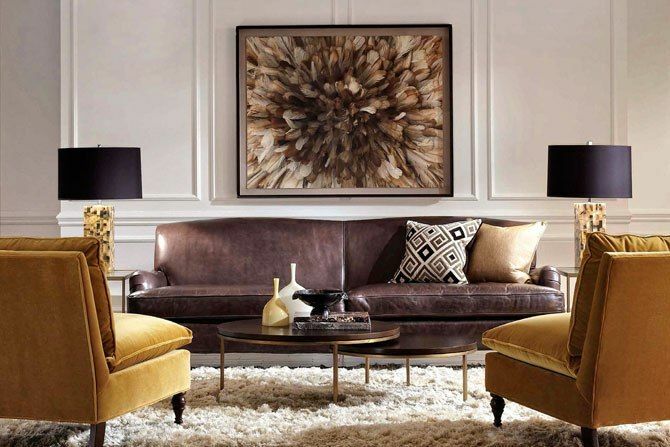 This will create a focal point and helps distinguish your home from the masses. Don’t simply focus on the living room. Remember the small areas such as the bathroom. 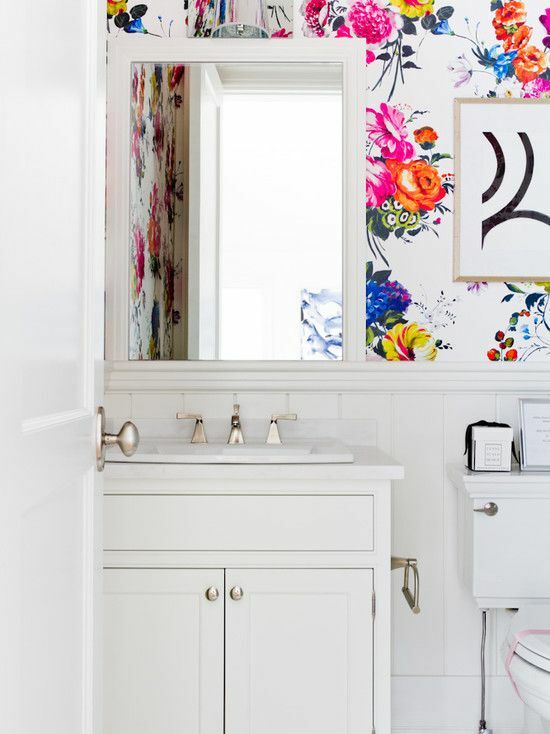 Use a punchy color or even temporary wallpaper to create a designer look (try http://www.tempaperdesigns.com ). Lastly, mix your use of metals. Gone are the days where you could simply use brass or chrome alone. 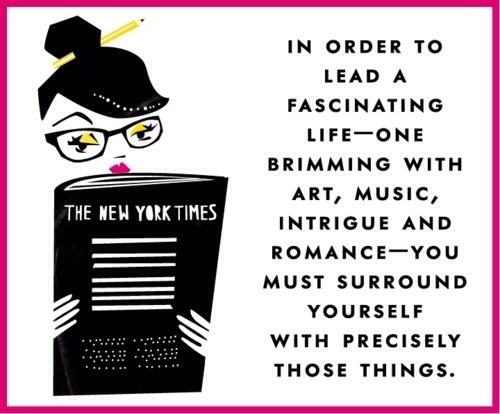 Think the use of picture frames, coffee tables, etc. 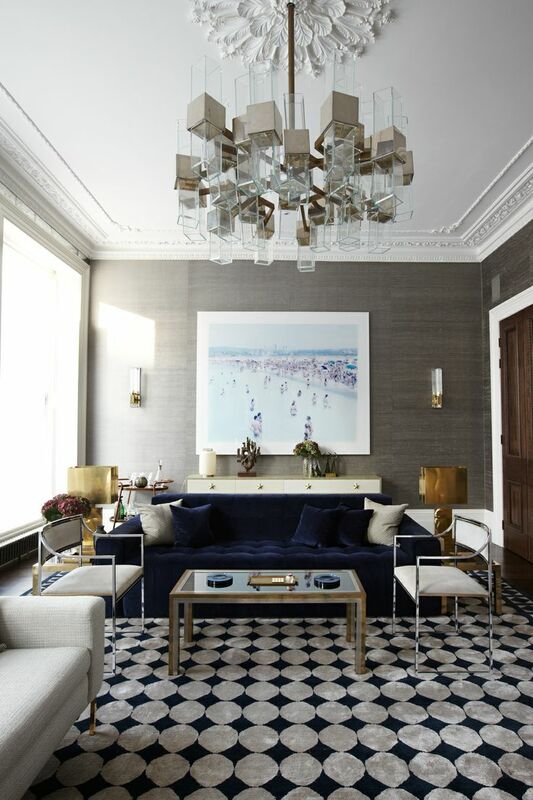 Done correctly, this can create a very curated and sophisticated look. Here are some of my favorite examples. Do you have a favorite way to incorporate color? 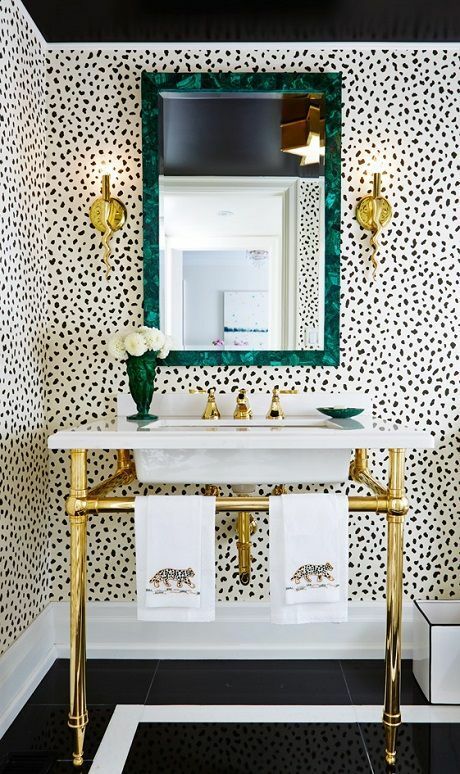 Wallpaper, a punch of green, and a painted ceiling make this powder room a true jewel box. 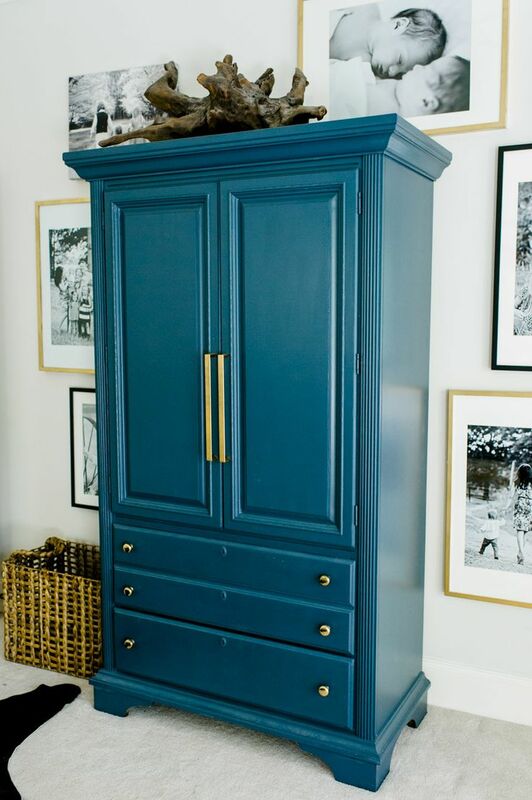 Take an old piece of furniture and refinish it in a bright color. Not only will you have a bespoke piece of furniture, but you will have focal point to your room. 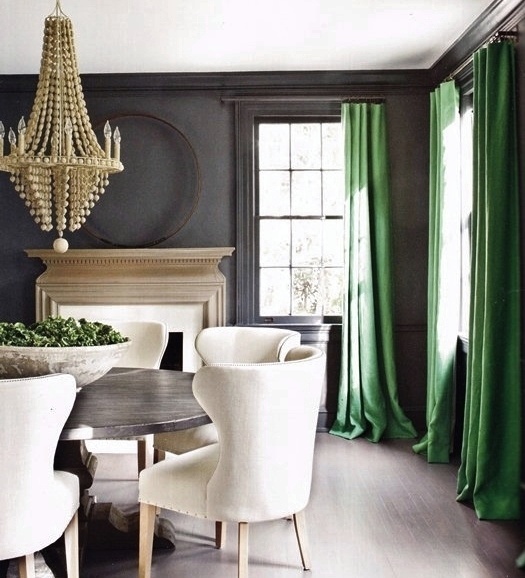 Add a bold accent color to an otherwise neutral palette such as these emerald colored draperies. It has been a very long time since I posted as I have been busy making life changes. Recently I obtained my New York Real Estate Salesperson license and have been busy learning all things real estate related! However, I haven’t given up on my design work either. 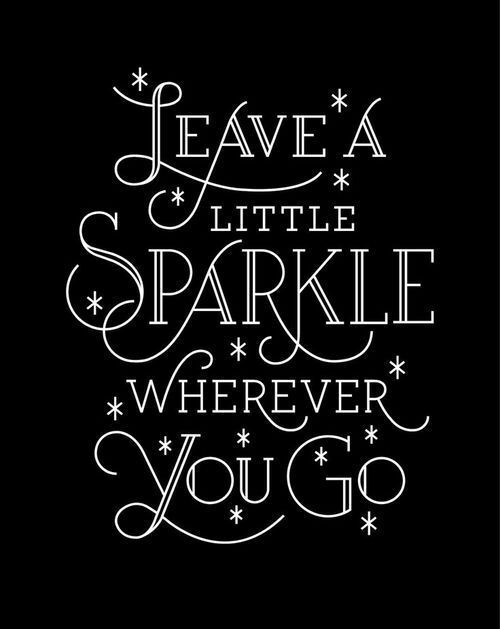 I plan to incorporate the two and hopefully have some happy clients! I am focusing more on model apartments now as I am making contacts with new management companies each day. With that, I am charged with a new 3 bedroom apartment in the Upper East Side. I am very excited about it and am in the planning stages at the moment. Here are some of my inspirational images.